Weil McLain is one of the most popular brands for furnaces, water heaters and boilers. They offer a wide range of boilers from gas fired to oil fired, from residential to commercial. Their boilers are energy efficient and they are built to last. One of the premier oil fired boilers they have in their product line is the Weil McLain Ultra Oil Boiler. This boiler series has four different models to choose from, which one you will need will depend on what application you need it for. The important features of the Ultra Oil Boiler are they are water dedicated boiler only. 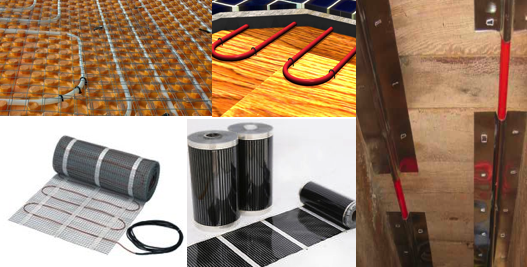 They have flexible venting system where you can choose from chimney venting or direct venting. There is no need to any power assisted fans on this boiler. The Ultra Oil Boiler is a three-pass system and it includes a cast iron heat exchanger with captured elastomer seals that will keep the heat in and the boiler more energy efficient. The unit also has a reversible swing burner door or easy access for maintenance or service. 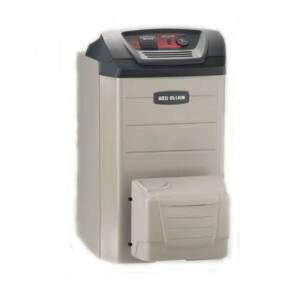 The Weil McLain Ultra Oil Boiler is Energy Star rated and has an efficiency rating of 86% AFUE. Each model available on the Ultra Oil Boiler has a different capacity and IBR rating. The four models, UO-3 (0.80 GPH), the UO-3 (1.00 GPH), the UO-4 and UO-5. These models have a Department of Energy Heating Capacity that starts from 98 MBH to 172 MBH. They all have a minimum chimney size of 8 x 8 if you choose the chimney venting system. The Weil McLain Ultra Oil Boiler offers a choice of Beckett NX Burner, Beckett AFG Burner or a Riello Burner. These units are all pre-wired at the factory and they come with an optional fully integrated control system. The controls are top mounted to the boiler and they come with a factory installed external service switch and a T&P gauge. Some of the standard features available are the boiler drain, service switch, silicone coated fiberglass sealing rope and a 30-psi relief valve for starters. The Ultra Oil Boiler has an AFM or Advanced Features Module that include an outdoor reset, a low temperature mixing, a set point operation, boiler protection, freeze protection and warm weather shut down just to name a few. The design of the Ultra Oil Boiler is a front jacket snap on panel making easy access to the components. The right and left side panels are actually interchangeable and this will stop any mistakes often made on installation. These boilers are made for residential consumers and you can purchase them through a local Weil McLain distributor. Their website will have a where to buy link on the top of the site. 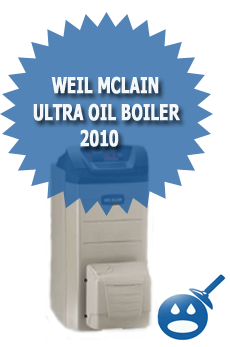 Weil McLain has been providing boilers and other heating products for over 80 years, they have a respected reputation and if you are looking for a new boiler then the Weil McLain Ultra Oil Boiler is worth looking at.